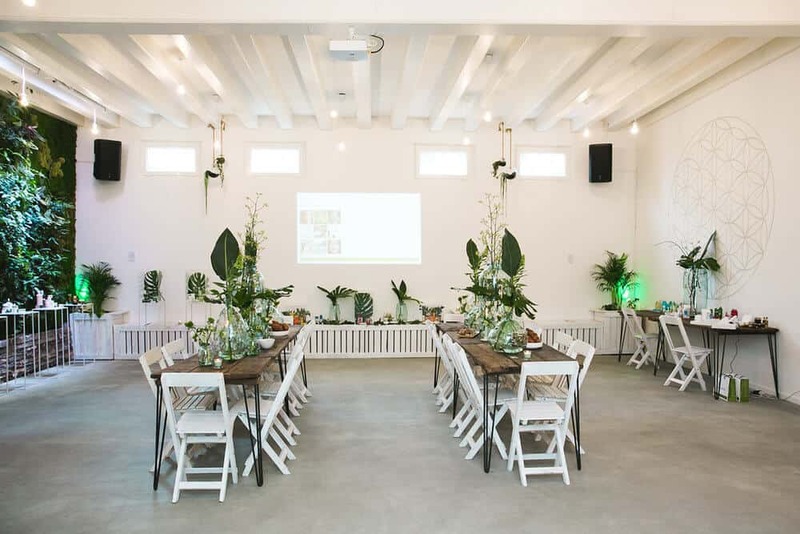 Discover this bright and green event space that will fit any of your events! 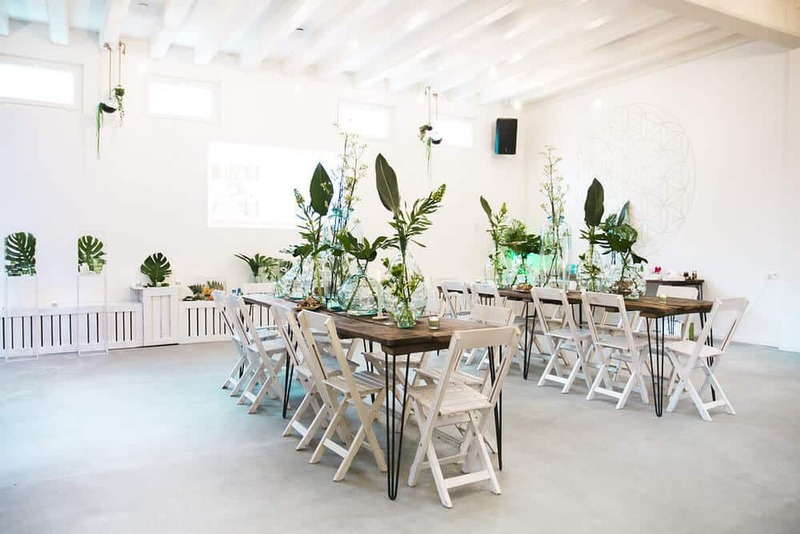 Located in the heart of Amsterdam, this venue has a lot of typical charm. 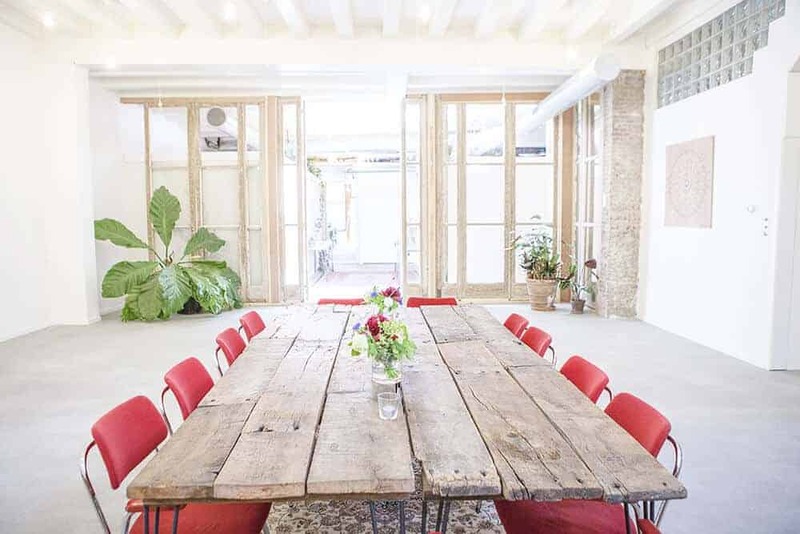 The modern decoration mix perfectly with antique parts and details. It results in a very trendy room. 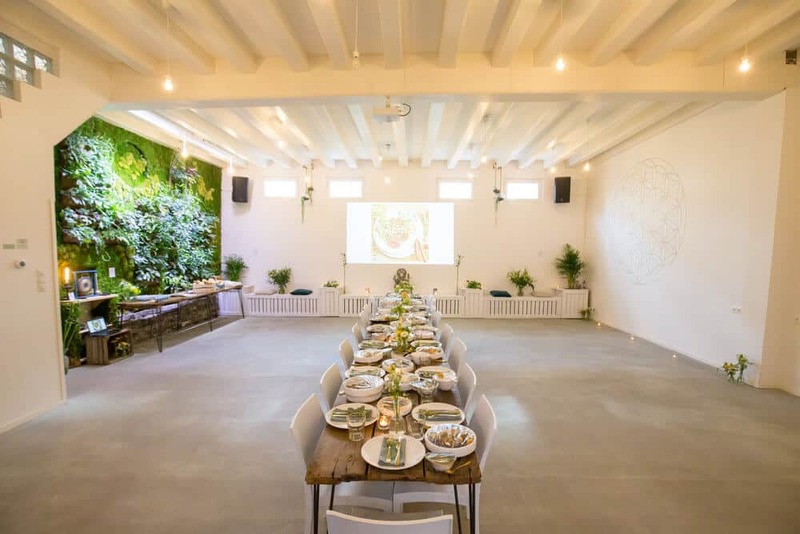 This wide event space is 90m² and its plant wall makes it feel so natural that you will forget you’re inside! 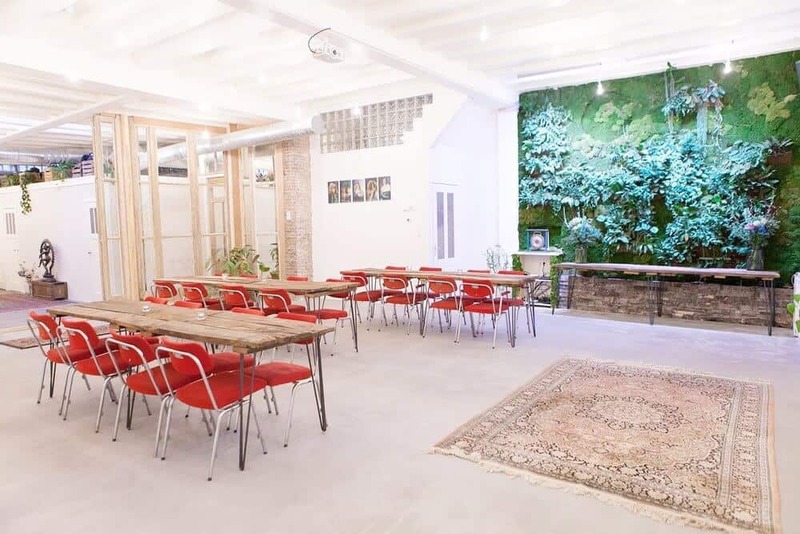 This versatile room can host your next meeting, conference, launch party, or any event you want!